SPECTRUM 101K, BELLATRIX 103M, ORION 105DC, ATRIA 107M, COSMO 109K, GALAXIA 112K, POLARIS 116K, RHEA 118M INGREDIENTS: MICA, POLYETHLENE TEREPHTHALATE, OCTYLDODECYL STEAROYL STEARATE, SILICA, SYNTHETIC FLUORPHLOGOPITE, CALCIUM ALUMINUM BOROSILICATE, CETEARYL ETHYLHEXANOATE, CAPRYLYL GLYCOL, QUARTZ, LAUROYL LYSINE, ACACIA DECURRENS/JOJOBA/SUNFLOWER SEED CERA/POLYGLYCERYL-3 ESTERS [ACACIA DECURRENTS/JOJOBA/SUNFLOWER SEED WAX POLYGLYCERYL-3 ESTERS], POLYURETHANE-11, TIN OXIDE, ACRYLATES COPOLYMER. MAY CONTAIN +/-: CI 77891 [TITANIUM DIOXIDE], CI 77491 [IRON OXIDES], CI 77499 [IRON OXIDES], CI 77492 [IRON OXIDES], CI 16035 [RED 40], CI 19140 [YELLOW 5], CI 75470 [CARMINE], CI 77000 [ALUMINUM POWDER]. GEMMA 106CM, PHOENIX 113CM, ELECTRA 115CM INGREDIENTS: MICA, OCTYLDODECYL, STEAROYL STEARATE, CETEARYL ETHYLHEXANOATE, CAPRYLYL GLYCOL. MAY CONTAIN +/-: CI 77491 [IRON OXIDES], CI 75470 [CARMINE], CI 77742 [MANGANESE VIOLET], CI 77499 [IRON OXIDES], CI 16035 [RED 40], CI 77007 [ULTAMARINES], CI 77492 [IRON OXIDES]. EARTH 102CM, FLESH 104CM, TITANIA 108CM, DIADEM 110CM, VEGA 111CM, ATIK 117CM INGREDIENTS: MICA, ZEA MAYS (CORN) STARCH, SILICA, DIMETHICONE, CAPRYLYL GLYCOL, OCTYDODECANOL, STEARYL STEARATE, CERA ALBA [BEESWAX], METHICONE, MICROCRISTALLINA CERA [MICROCRISTALLINA WAX], BEHENIC ACID. MAY CONTAIN +/-: CI77891 [TITANIUM DIOXIDE], CI 77491 [IRON OXIDES], CI 77499 [IRON OXIDES[, CI 77492 [IRON OXIDES], CI 77288 [CHROMIUM OXIDE GREENS]. SUPERNOVA 114DC INGREDIENTS: MICA, OCTYLDODECYL STEAROYL STEARATE, TITANIUM DIOXIDE, COBALT TITANIUM OXIDE, SILICA, CETEARYL ETHYLHEXANOATE, CAPRYLYL GLYCOL. MAY CONTAIN +/-: CI 77491 [IRON OXIDES], CI 77891 [TITANIUM DIOXIDE], CI 77492 [IRON OXIDES], CI77499 [IRON OXIDES], TIN OXIDE. When it comes to your eye makeup, shouldn’t you always reach for the stars? Inspired by the stars in the night sky, this holiday palette from Natasha Denona features 18 never-before-seen eyeshadows in an easy-to-follow format that takes the guesswork out of creating out-of-this-world looks. 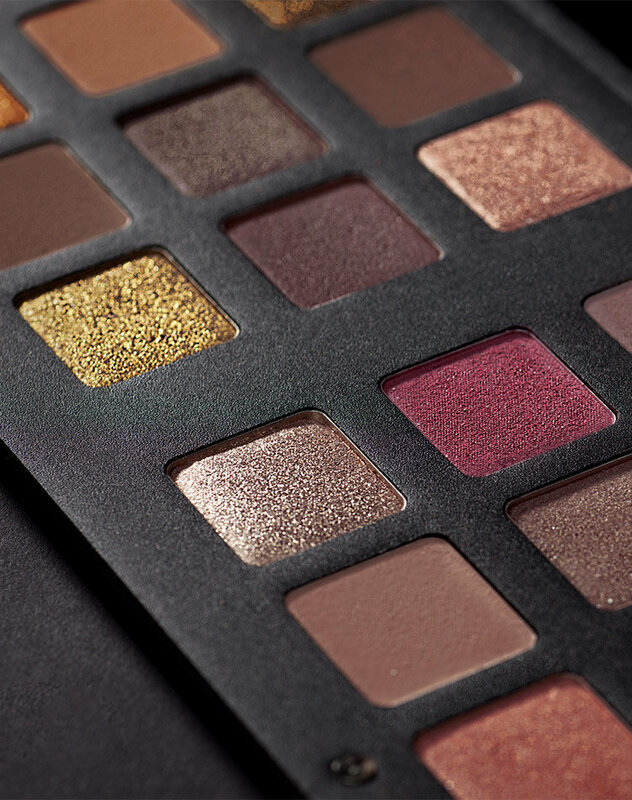 With finishes for every occasion (Metallic, Duo-Chrome, Creamy Matte, and Crystal) and shades to suit all skin tones, the Star Palette has something for everyone. 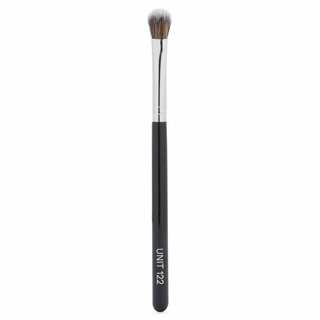 Using a brush or your finger, sweep the shade of your choice over your eyelid and blend well. The Crystal shades work best when applied with a finger. Watch as we try on all 18 new shades included with the Star Palette. I’ve had the benefit of playing with this palette since August and have to say it’s truly incredible! I’m already a huge fan of the Natasha Denona shadow formulas and have been using both of her 28 pan palettes since January. So I was excited to see that she added several new formulas with this palette. The new matte formula is a cream like shadow with no fallout and a stay all day wear time. They sparkle shades are really something to be seen though! They are made with a new ingredient Chroma- Crystals and mixed with crushed diamond pearls to create a depth of sparkle and reflection. 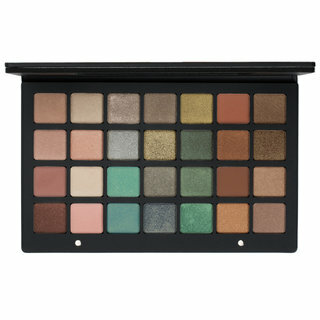 This is a pro quality palette but is so user friendly for a makeup lover of any skill level. 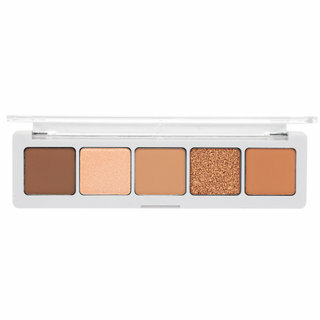 Anywhere that 3 eyeshadows are in a sequence creates a unique coordinated eye look. 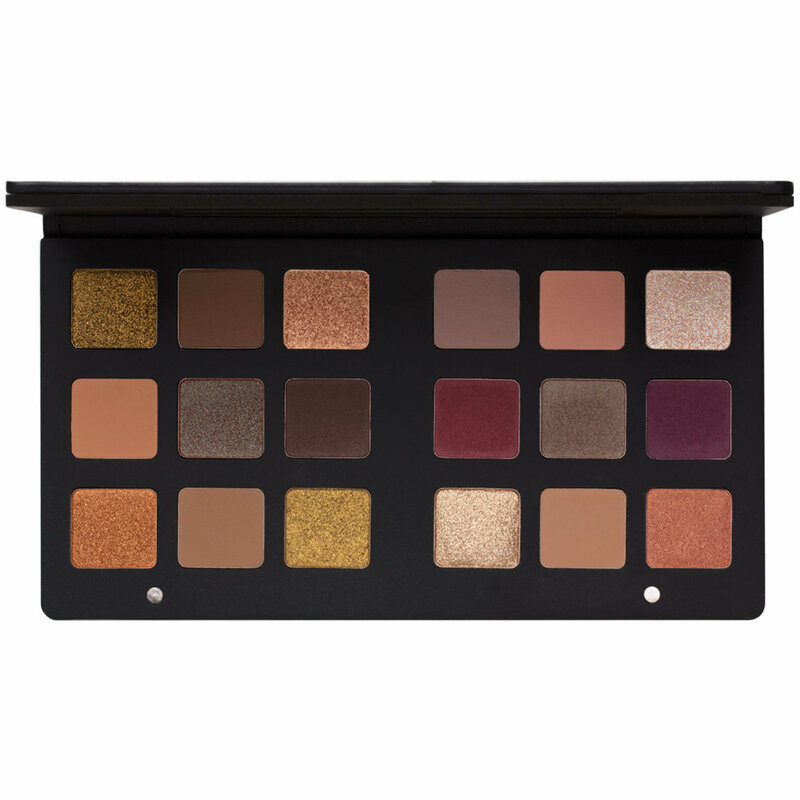 The palette contains 18 shadows. 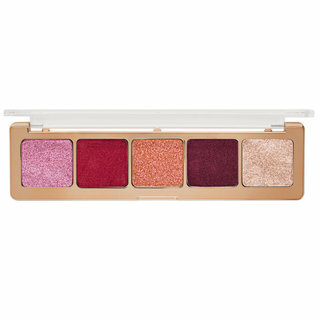 4 Crystal eyeshadows, 2 Duo Chrome eyeshadows, 3 Metallic eyeshadows and 9 Creamy Matte eyeshadows. 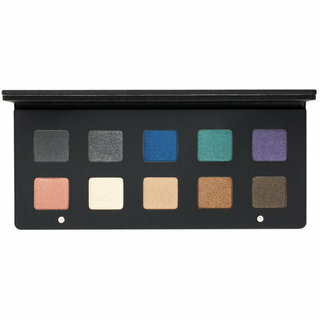 Important to note is that the palette is also split into a warm and cool side to make eye looks easy to put together. Priced at just over 9.00 a shadow means you are getting superior quality at an affordable price! 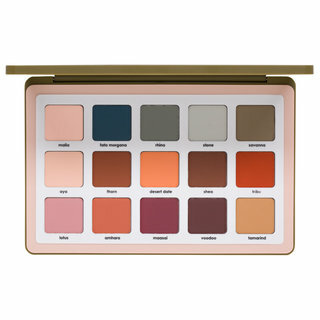 I 100% think this is not a palette to miss out on! Finally it arrived and I couldn't even wait to leave work before applying a few colors at the end of the workday. And then the disappointment...the colors just aren't as pigmented on the eyelid as when swatched. So I thought, once I'm home, do my face over, all will be better. And no, after trying different combinations (as suggested, vertical, horizontal, diagonal or my own) the colors, though VERY beautiful individually and in combination are not very pigmented without layering or a mixing fluid. Second, the shimmer colors pretty much have to be applied as Natasha Denona demonstrates in her video, with your finger. And the glitter ones are like one YouTuber mentioned, almost like loose eye glitter and need a liquid or cream to hold them. The best thing I found was mineral oil (so some type of light eye serum oil would probably work as well). This kept the great color and boosted the pigmentation and adherence. Another positive note though, the color lasted for a while (nearly all day for me). So the obvious issue is due to the price, you don't want to have to REALLY work hard to make a palette work. I expected everything to just flow on smoothly, so it is quite a let down when you have great colors, but can't achieve a pop-eye catching look without doing near pro techniques to achieve it. 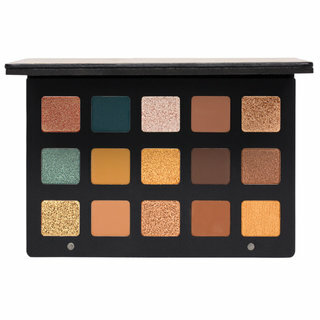 I'm on day two and even after getting the Urban Decay Moondust palette (to console myself, but the colors are the same), almost getting Too Faced's Christmas palette (a definite one to consider if you prefer paying less, as the glitter-like colors are't bad at all), and getting a GREAT Dior new single Lustrous Smoky Mono called "Fire" that reminds me a lot of Natasha's shimmer/glitter colors, but has a better texture), I'm trying hard to justify keeping the Star Palette. Lastly, if you don't like fallout, forget this palette! There is a LOT of fallout, in particular the glitter shades. Updated comment on Why Oh Why? 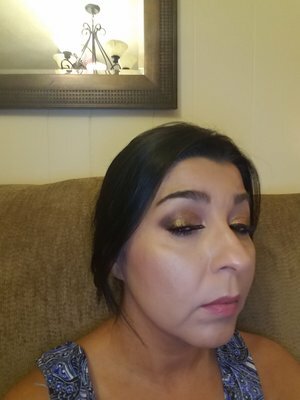 I decided to keep the palette, but that after some work learning how to work the shimmer and glitter shades and a few combinations of shades (looks) I was able to achieve. 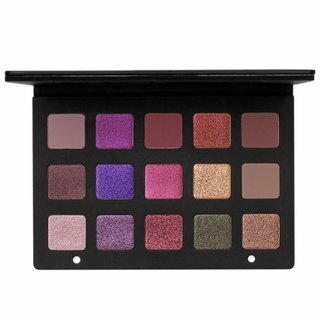 I recommend that you review Natasha Denona's detailed video on the Star Palette and even her 28 color palette videos (like the video on the Purple-blue version). 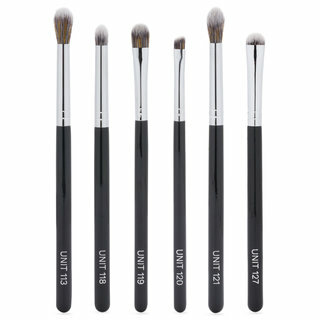 She discusses her techniques, brush type needed, etc., and it REALLY helped me. In the end though, I achieve the best pigmentation for the glitter formulas with mineral oil (I'm sure some other oil would do). I raised the rating to a four, but 3 1/2 would have been most appropriate. I raised it due to the beautiful colors and combinations you can achieve. So far this is my go-to palette for the fall and soon winter. 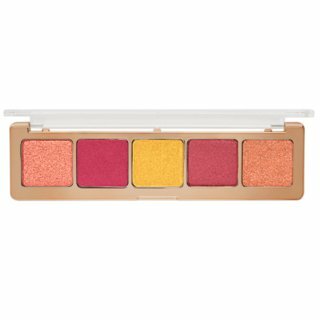 I was going into this thinking that I'll hate the mattes and love the shimmers because that's how Denona's palette usually end up for me. However this completely flipped the script - the mattes are beautiful, creamy and easily blending. On the other hand te shimmers were mediocre at best, they kicked off so much fallout than some of her previous shades and the new crystals are a complete disaster as it is like trying to apply loose glitter without any base and hoping it will stay by the will of God. It won't. So you come to a hard choice where this palette has the potential to be amazing if you have other things underneath it - primer, glitter glue, setting spray. 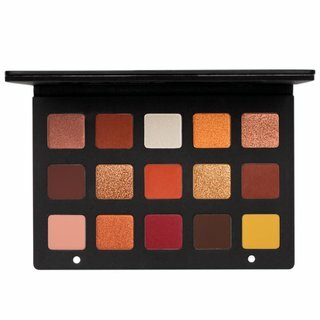 However whilst I can justify going the long mile for brands like Morphe or OPVL, for a palette of this price point to be this bad is just ridiculous. 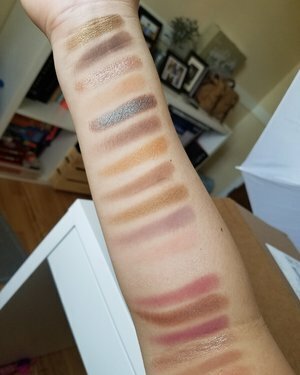 I've had the two large 28 pan palettes since they released on Beautylish, and I am a huge fan. Yes, some people find the price to be a bit steep, but then again, Tom Ford shadows are $80 for 4 colors. Natasha is an experienced makeup artist, and she created amazing shadows. 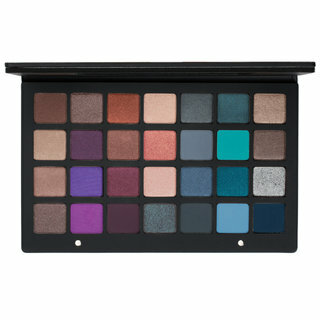 I find these colors to be pigmented and easy to work with. 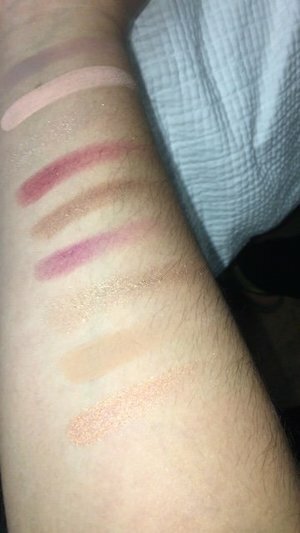 People who have swatches with barely visible shadows must be using this differently that I am, because I am getting insane pigmentation out of them. The new Chroma Crystal shadows are stunning to look at, and light up the eyes like no other! Yes, they have fallout, because they're pressed glitter pigments. I use them over a glitter glue and get easily 12-15 hours of wear out of them daily, with no fading. There is only one shade that gives me problems (Galaxia), and with glitter glue, I get that to work as well. I love the layout of the palette, the thought that went into the arrangement of the colors, and the warm and cool sides. I do wish Natasha would have put a light matte brow bone color in the palette, but the lack of one didn't deter me from buying it. So yes, this might be "expensive", but I don't find it to be unreasonably so. 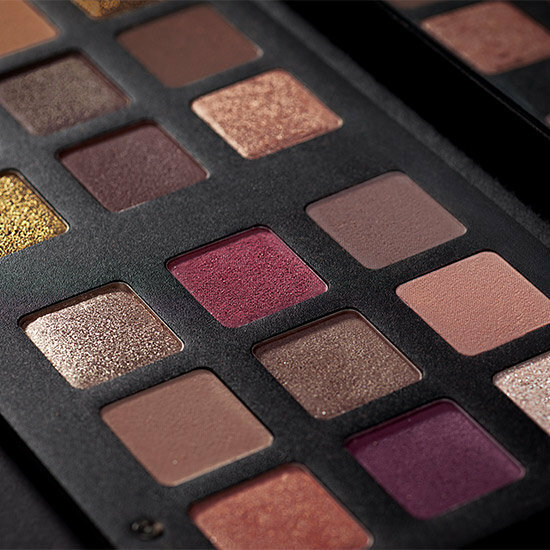 If you don't want to spend more than $40-$50 on a palette, perhaps this isn't for you. If you want pigmented, makeup artist designed colors that aren't mass-marketed like every repackaged product out on the market, pick this up and give it a chance. You won't regret it. 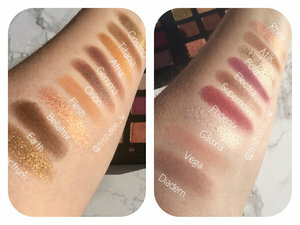 I added the Star palette to my other two 28 palettes because having worn makeup for years and years and owning just about every well know palette ever made Natasha Denona shadows are simply the best. They apply themselves and are effortless to use. Top notch!